WPIF for Wordpress is a plugin that allows users to trigger actions on predefined conditions or events. 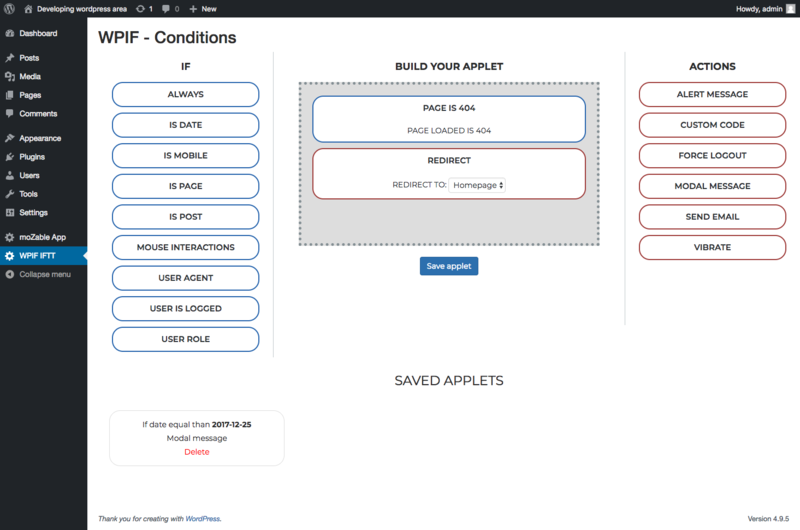 With this extension users can extend Wordpress and/or theme’s features with a very simple gui. 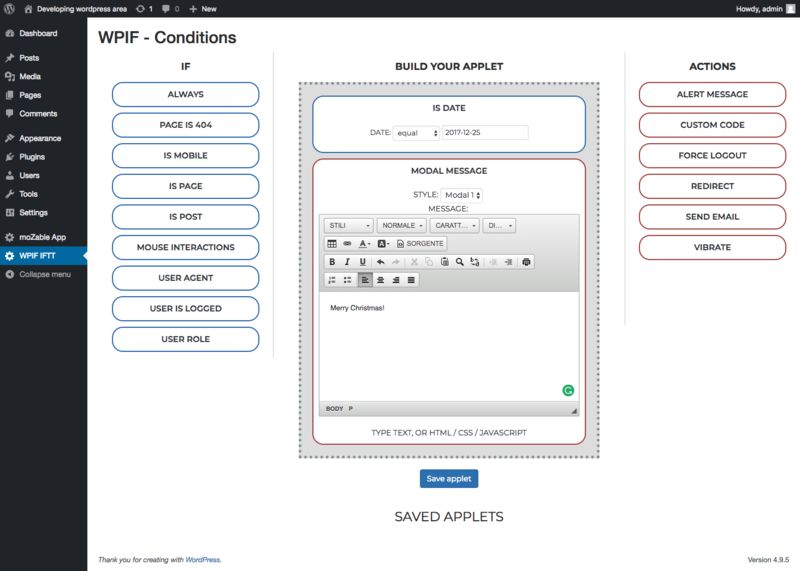 WPIF is simple, fast and codeless! No matter if you are an advanced developer or a beginner programmer. Simply drag&drop your rules and conditions, than create an action to be executed as soon as those specific conditions has been triggered. For example: don’t you ever need to show popup on your website just before they’re leaving your website? Don’t you ever need to receive an email when something wrong happens (404 pages, login problems, spam attacks, etc…)? Don’t you ever need to redirect customer to a landing page if they are using a mobile browser? These examples are only intended to give you an idea of what this plugin can do. You can create more than 200 possible combinations! Do you have any suggestions? Do you need a new event or action to be added to WPIF in the next release? Feel free to contact us!